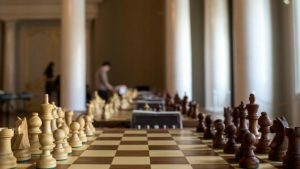 3 rounds of competitive chess; ‘Quads’ are a mini ‘round robin’ chess tournament, with players ranked by rating, divided into groups of four with each challenging the other players in their ‘quad’ (four player group, hence three rounds). This offers more equitable competition and practical tournament preparation, are a truer test of one’s ability. It’s … Continue reading Test your mettle… at Quads!